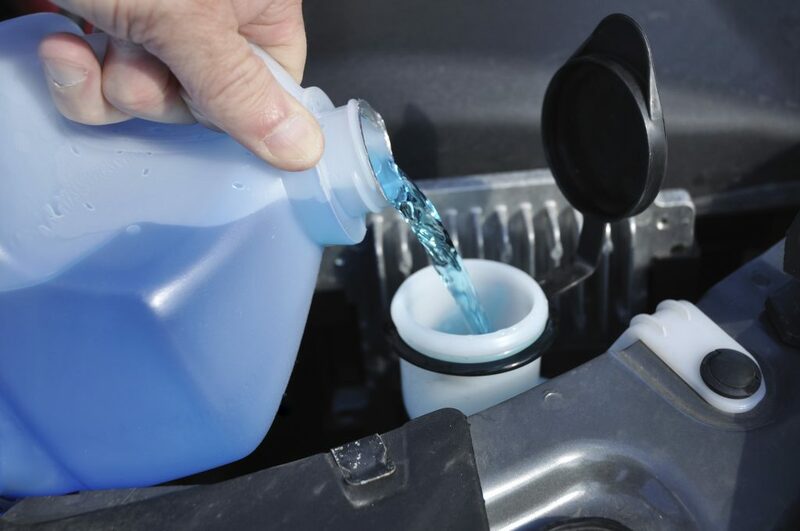 Checking your car fluids is one of the most important car maintenance practices. A car with all the necessary fluids works efficiently and will save you from costly and unnecessary repairs. These fluids need a regular top up and even changing over time to maintain their efficiency. With this in mind, here’s everything you need to know. The engine has several moving parts most of which are in contact with each other. These are often bound to suffer wear due to friction. The motor oil is responsible for lubricating these parts to reduce the effects of friction. This oil, however, gets dirty with time and needs replacement. While you are at it,it’s also worth changing the oil filter too. There’s a dipstick in the engine bay that allows you to check the oil. But before you pop the dipstick, ensure that the car is turned off and has rested for at least ten minutes. Pull the dipstick out first and wipe it with a clean towel, then put it back in and remove it to check the reading. Ensure that the oil levels are closer to the maximum mark than the minimum. If less, top it up accordingly. Also, check the colour of the oil. A yellow or amber colour is okay; darker or black oil calls for an oil change. Check if the oil is dirty by feeling it between your fingers. If there is some grittiness, then the oil is dirty and a change is necessary. This is the fluid that enables your car hydraulic brake system to work. As you drive your car, the brake fluid often collects moisture. This reduces its effectiveness. The fluid also depletes with time. So a regular change of the brake fluid is needed. A frequency of once per year is recommended to keep your breaks in tiptop shape. Just like the engine oil, brake fluid also has a reservoir and a dipstick. This fluid forms part of the car hydraulic system. It provides for the smooth and easy turning of your car. With time, the power steering fluid could get depleted especially if there’s a leak. Find the power steering dipstick under the bonnet, check if you’re running low and top up accordingly. This fluid lubricates the gears and valves in the car. This might not need changing in many cars. However, on some occasions, it becomes dirty and ineffective after a long time of use. Sharp screeching, rough shifting, and incessant surging are indicators of bad transmission fluid. To change it, get the car in the neutral gear first and take the reading on the dipstick. Note that the fluid should have an amber or red colour. A dark or cloudy fluid should be changed. Every car usually comes with a handbook that guides drivers on the appropriate fluid level checking. The type of fluid is usually indicated, too. However, if you can’t find it there, consult a professional such as the many here at Auto Exhausts and Tyres. Dealing with a professional can help clear all your doubts. They can also help run checks to find out any fluid-related problems that go beyond just changing or topping up. Auto Exhausts & Tyres have a team of skilled, professional mechanics who carry out high quality servicing, MOTs and repairs. Whether your vehicle needs a seasonal summer checkup or you need a reliable replacement part fitted, our experts can help. Our team offer a friendly, trustworthy and comprehensive service at competitive prices for clients in Lincoln and the surrounding areas. For more information, advice, or to book in your car, get in touch with our team today.